India has encountered a number of brilliant minds in the sphere of artificial intelligence industry. In the recent times, a large number of artificial intelligence and machine learning relying startups have emerged and have flourished and India is already among the top countries in the field of AI. 1. 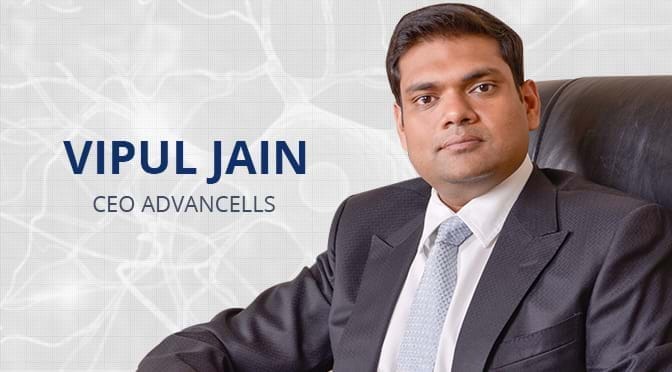 Advancells: Started in 2005, this startup is focused on therapeutic applications of Regenerative Medicine, which is a branch of translational research in tissue engineering and molecular biology that deals with the replacing and regenerating human cells, tissues or organs to restore or establish normal function. It delivers technologies for the safe and effective treatment options to patients all over the world at the highest medical standards. 2. Artelus: Artelus stands for “artificial learning system” and was founded in the year 2017. This startup is focused on detecting diabetic retinopathy (DR) using deep learning algorithms. It captures the patient’s retina image, analyses it and presents a report out of it. It can be used to detect DR in less than a total of three minutes, which is way faster than humans. It is also striving to create early detection tools for TB, breast cancer and lung cancer with the help of its AI screening tool. 3. ChironX: ChironX founder, Mausumi Acharyya, is an expert imaging an AI expert. Founded in 2017, ChironX (earlier known as Advenio Technosys) detects diseases from large populations of medical images. It has an autodiagnostic software which uses complex image processing AI algorithms along with classical machine learning techniques. Their modules also use a lot of deep learning algorithms. Currently, it is working for retinal abnormality detections and acute respiratory infections. ChironX’s research activities are funded by the Biotechnology Industry Research Assistance Council (BIRAC) and the Bill Melinda Gates Foundation and are being seed funded by KStart. 4. LiveHealth: It is a Pune-based startup that provides diagnostics to customers through automation. This 2014 startup delivers reports to patients or organisations online as soon as they are available. It also offers online payment, monitors all patient activities in real time and enables doctors to access the patient data anytime. Doctors can also sign their patient reports with just one click. Their focus is maximum digitization and automation in providing medical diagnostics, due to which report entry errors are completely eliminated. 5. Lybrate: Founded in 2014, Lybrate is the country’s first online doctor consultation platform. In a fast-moving, busy world today, we hardly have time to go to a doctor physically for every minor health problem that we face. Often we end up ignoring some symptoms that seem minor to us but turn out to be serious, because of our over-occupied work lives. Lybrate has an online application via which patients can connect to doctors and have a consultation online. The patients can also book lab tests and appointments online. Apart from this, Lybrate also provides weight diet and fitness, skin and hair care solutions. They have doctors from a variety of spectrum across the country. It also has a health consultant bot on Facebook Messenger. The aim of this startup is to create an online consultation for everyone easily accessible. 6. NeuroSynaptic Communications Private Limited: Their aim is to make health care accessible to all the masses through their startup. It provides a high-quality ReMeDi Remote Healthcare Delivery Solutions. It collects information on various physiological aspects of patients remotely and provides them with its diagnosis. By doing this, they make the whole process of diagnosis affordable. They currently operate in four cities with the main focus on healthcare delivery. The majority of their work has been in schools so far and also have an app-based tool for parents to plan nutritious meals for their children. Apart from this, they also offer annual health check-ups and health education. It was founded in 2002. 7. Niramai: The two founders of this startup, after seeing cancer in their family had felt a deep urge to solve this problem in society. Niramai is a Bangalore-based 2016 startup that provides breast cancer screening solutions. They build a machine learning software that helps to detect breast cancer at a much early stage, helping early diagnosis of the cancer. A portable solution for large-scale screenings. 8. OncoStem Diagnostics: Founded in 2011, this startup uses machine learning algorithms to help in personalised cancer treatment. OncoStem uses Proteomics and Genomics-based platforms and with the aid of a molecular fingerprint of a tumour, predicts cancer recurrence. Knowing the recurrence of cancer will also help to develop new drugs. It has a product called ‘CanAssist-Breast’, which they aim to help reduce breast cancer can predict the likelihood of cancer returning by analysing samples of the patient’s tumour. Once this has been analysed through a machine learning based algorithm, the patient is classified as ‘low’ or ‘high’ risk. Patients classified as ‘high-risk’ would have a greater probability of cancer recurring than those classified as ‘low-risk’. Those with a low-risk score can forgo Chemotherapy. It also aims to develop tests for multiple cancers including oral and colon. 9. OnliDoc: For end-to-end medical diagnosis OnliDoc uses AI and ML. It has a phone application that is used to find doctors, book appointments and store medical records and prescriptions. Has an artificial intelligence and deep learning symptom checker and provides online delivery of reports. It uses AI and deep learning to help in treatment selection and recommend first actions to be taken. Their application is available on iOS and Play Store. It was founded in 2015.
qXR: Trained with a million curated X-rays and radiology reports, this product detects abnormal chest X-rays and then identifies and localises 15 common abnormalities. It also screens for tuberculosis. qER: This product is for diagnostic assistance in head CT scans. It detects critical abnormalities like bleeds, fractures and midline shift; localises them and quantifies their severity. qQuant: It is used for quantification and progression monitoring products for CT scan and MRI scan and has fully automated detection, quantification and 3D visualization. This startup was found in the year 2016. They believe in letting machines handle the easier medical cases so that healthcare practitioners can focus on cases that truly matter and are intricate. Their peripheral blood smear analyser solution is called ‘Shonit’ and has already been used in a closed beta. It automates routine tasks like differential counts and provides screening solutions for malaria and anaemia. The blood smear slides are captures on a phone which is fitted on a microscope. Using deep learning and image processing tools and is then analysed. Based on this image analysis it generates blood reports and suggests abnormalities in the blood based on it. This report can be reviewed by pathologists all over the world, connected on any net connected device. They have four other such solution platforms targeting different areas named Shrava, Aadi, Dhrishti and Vaksha. The first two are nearing clinical validation state, Dhrishti has one part of its analysis in product development, whereas Vaksha, a screening solution for chest X-rays, is still in research. SigTuple was awarded the ‘Judges Choice’ Award at Google’s first Demo Day Asia programme held in Shangai in September this year. Founders: Rohit Kumar Pandey, Tathagato Rai Dastidar, Apurv Anand.